If you read my recent “No downtime for the Enterprise” post I wrote for Oracle’s Cloud Infrastructure blog site, you would of learned that even in today’s words, system outages are still costing the enterprise millions and millions of dollars in lost revenue. For backup and recovery providers like Vembu, this provides the opportunity to mitigate that risk, to help customers establish a steady recovery plan to not only counter data loss potential but also tackle compliance responsibilities at the same time (take the upcoming EU’s GDPR) for example ). Last week, they announced the release of Vembu BDR Suite v3.9.0 which offers manifold features and enhancements to meet the different needs of diverse IT environments. According to them, the overall goal of the new version v3.9.0 is to continue to provide advancements in terms of Storage, Security, and Data Restoration. Vembu now provides the popular 3-2-1 backup strategy (Three copies of backup on two different types of medias (Disk and Tape) as well as one backup copy at offsite) to businesses by announcing the support for Native Tape Backup for Image-based Backups (VMware, Hyper-V, and Physical Windows Servers & Workstations) providing an option for Long-Term Archival and Offsite storage. 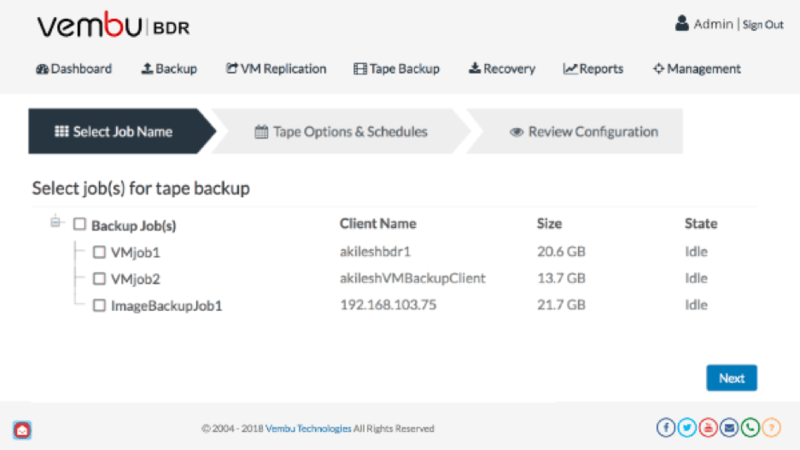 Also, Vembu Tape Backup Support makes the DR possible on any physical or virtual environment. Thus Vembu Tape backup is designed keeping in mind the future needs of the ever evolving IT demands. As we speak of data backup, recovery of data is equally important, if not more. While data recovery is crucial, the amount of time taken to restore data decides the business continuity of any organization. 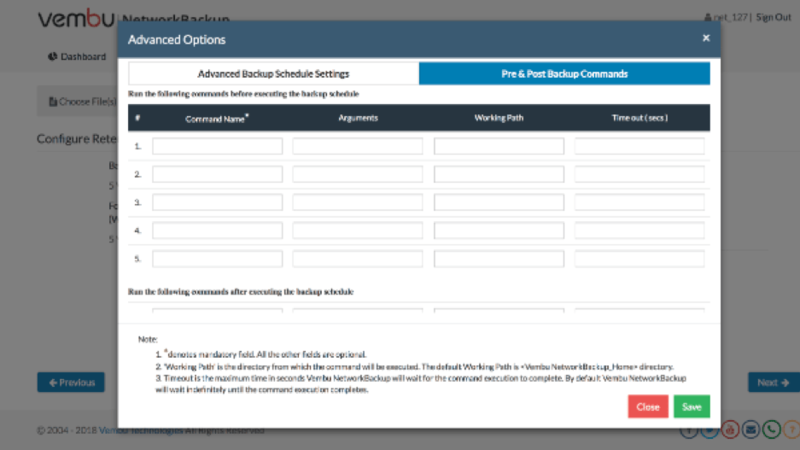 In the previous versions, Vembu has provided instant recovery capabilities only for VMware Backups from the GUI. 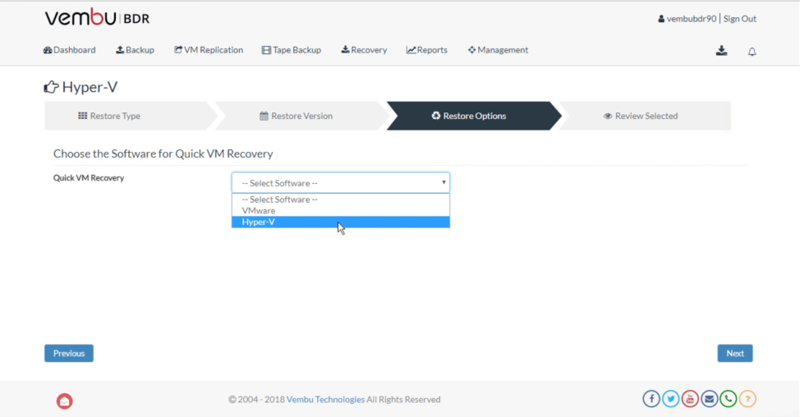 From this release v3.9.0, Vembu makes the instant recovery process much simpler and quicker than before by making the Quick VM Recovery possible on VMware ESXi from Vembu BDR backup server console for all image-based backups(VMware, Hyper-V and Microsoft Windows). Thus, Vembu lowers the Recovery Time Objectives of the organizations and provides quicker data regain and access. 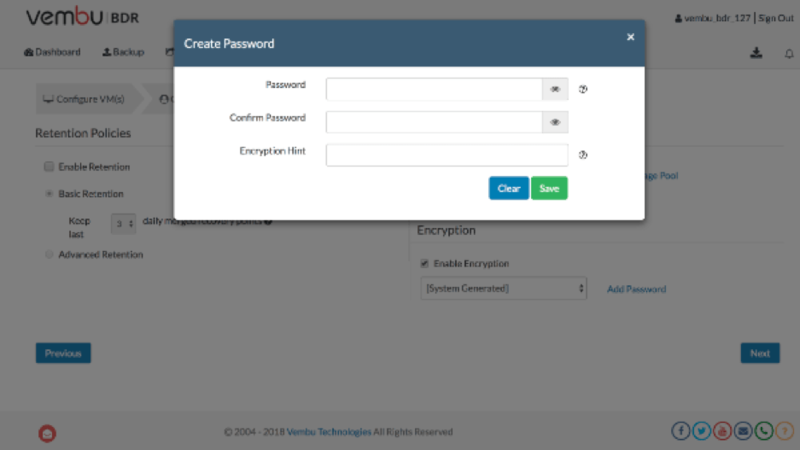 With the newest release, Vembu provides the ability to encrypt the data while creating a backup job. Each backup job that is configured from the distributed agents or through the Vembu BDR backup server is now highly secured through Backup-level Encryption. By using customized passwords, users will now be able to enable additional security for their backup jobs. And the backup data can be restored/accessed only by providing the password. Thus, the data is encrypted and can only be accessed by authorized users. This step is to fight data threats and also to ensure data compliances. Many businesses are in a need to execute certain business logic before or after a backup job. But running these logics manually through scripts is difficult and is not feasible for organizations having multiple backup jobs running in their IT infrastructure. 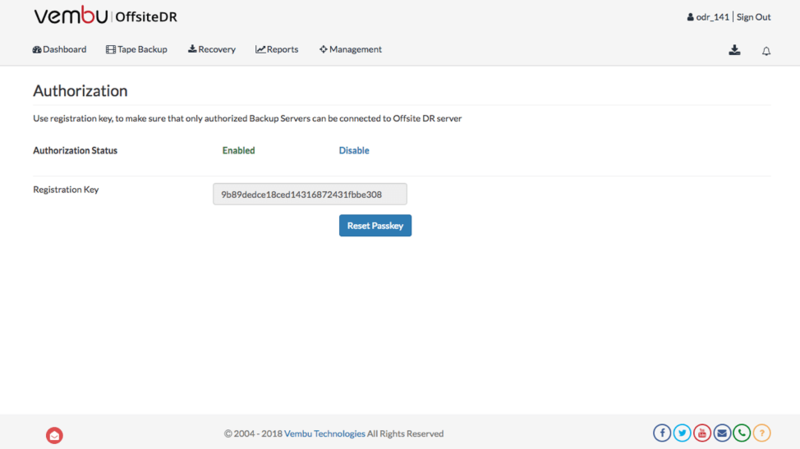 To make this process simpler, Vembu BDR Suite v3.9.0 provides a separate wizard in NetworkBackup, OnlineBackup and ImageBackup clients, where one can add a number of pre and post executable commands/scripts. This helps in automatically executing the added commands/scripts at specific stages based on the configuration and provides the ability to run the custom actions before/after the backup schedules. Besides all the listed features, Vembu BDR Suite v3.9.0 has few other interesting features like Windows Event Viewer Integration along with some Enhancements. Next PostData Quality and Governance – why should you care?